Oregon Standoff Trial Coverage Defense Case | RANGEfire! RANGEFIRE! is your source for “live” commentary and coverage of the Oregon Standoff Trial. Note: This is Part 2 of our Oregon Standoff Trial Coverage, which focuses on the defense case. Click HERE to view Part 1, which focuses primarily on the Prosecution. We will be adding video clips and written coverage and commentary on an ongoing basis, so scroll down to find new clips and coverage segments as the trial progresses. At RANGEFIRE! we recognize that there are multiple sides to every story. For contrasting MSM perspectives and reporting, you can also follow Maxine Bernstein for OregonLive, and Conrad Wilson for Oregon Public Broadcasting (OPB). For regular updates, follow John Lamb on Facebook. Or, for other in-depth, alternative perspectives, follow Gary Hunt at Outpost for Freedom or Redoubt News. On the lighter side, don’t miss Bundy Court Sketches on Facebook. We believe there there is a need for alternative voices and commentary to mainstream media commentary and coverage of these issues. Working in combination with a consortium of alternative media outlets, including Newsbud/BFP, RANGE magazine, Free Range Report, Oregon Standoff News, Rural Route Radio, Loos Tales, and Redoubt News, etc., RANGEFIRE! will be providing coverage, and commentary, including some short video updates and deeper commentary regarding the OREGON STANDOFF TRIAL. The defense case actually started on Tuesday, September 27, 2016, late in the afternoon, immediately following conclusion of the government’s case in chief, when the prosecution rested. 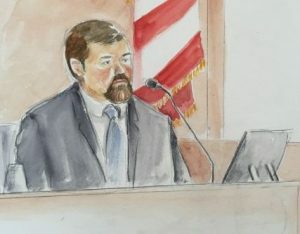 Several defense motions were filed at that juncture, some of which were argued Tuesday afternoon, including a motion by defense attorney, Tiffany Harris, arguing that the term “federal officers” referred to 28 USC 372, the civil war conspiracy statute Defendants are charged with violating, is not applicable to run-of-the-mill federal employees, as the government has alleged. Consequently, she and other defense attorneys argued for a narrower interpretation of the term “officer.” Attorney Per Olson argued that under the constitution and other applicable laws a correct definition and understanding of that term only includes those who are required to swear an oath, as part of their federal position and title, to uphold the constitution. Although the argument seemed fairly compelling, Judge Brown denied the motion. Defendant Attorney Mathew Schindler also filed a motion for acquittal on behalf of his attorney, Kenneth Medenbach, arguing that there is insufficient evidence to tie Medenbach to any alleged conspiracy to impede or interfere with federal officers, nor is there any evidence that he was armed at the refuge, claiming that no reasonable jury could reach that conclusion. Judge Brown likewise denied that motion. Today,before the defense started calling witnesses Ryan Bundy also filed a motion for acquittal/dismissal, and Ammon Bundy’s attorneys filed a motion to stay any further trial proceedings based on their appeal of Judge Brown’s denial of their previous motion for an injunction. In previous motions, Judge Brown granted a motion by the prosecution to take judicial notice that regardless of the ownership history of the Refuge, the United States Government currently holds title to that portion of the Refuge where the headquarters is located, which was the primary area of the occupation. Pursuant to other motions regarding Bundy’s Adverse Possession claim, she has ruled that the defendants can testify and present evidence about their purposes, intent and state of mind, but she will not allow any other evidence regarding the possible merits of an adverse possession claim. Otherwise, Judge Brown denied all defense motions, and that is part of the reason for Ammon Bundy’s motion to stay further proceedings in the trial pending resolution of his appeals. And just to give a little better idea how it works, all such motions are argued outside the presence of the jury. Such motions are typically argued among the attorneys and the judge either at the end of the day after the jury has been excused, or at the beginning of the day before they are brought in to the court room. When the defense did finally start calling witnesses to testify on Wednesday morning, they called a shotgun array of witnesses that had previously testified for the government, including MNWR manager Chad Karges, Refuge employe Carla Burnside, and a number of FBI agents. Among other things, Special Agent Ben Jones testified that he attended LDS (Mormon) Church services in Burns on January 10th to conduct surveillance on the Defendants, including Ryan Bundy, to attended church there that day. Other FBI Agents, including AGent Chadd Lapp, testified that the FBI received intelligence on January 1st that there was talk among the Defendants and/or people associated with them about the possibility of doing something at the refuge. The agents testified that there were multiple government informants among the so-called “militia” at the refuge during the occupation, and they testified that Mark McConnell was paid for his services to the FBI, although Judge Brown would not allow them to disclose how much he was paid. Agents were also asked about the role of Refuge neighbors, Rancher Andy Dunbar, and his son, who were likewise paid by the FBI. Agent Lapp also contradicted the previous testimony of Harney County Sheriff’s deputy, Lt. Brian Needham. As you may recall, Lt. Needham testified about his conversation with Ryan Payne, who had come into the sheriff’s office on his own one day, seeking to talk with Sheriff Ward. According to Agent Lapp, Lt. Needham’s court testimony went considerably beyond anything he had told Agent Lapp in their interview. According to Lapp’s report, Needham had mentioned that Payne had told him that an elected official should be removed from office “by any means necessary” if they were not upholding the Constitution. Lapp said Needham didn’t relay to him any reference Payne made to Sheriff Dave Ward, and didn’t suggest that the removal “by an means necessary” should include “death,” as Needham had testified previously. The Defendants also played recordings of conversations between Ammon Bundy and FBI negotiators at various points along the way. In those negotiations, when Ammon Bundy was asked what they occupiers wanted, he said they wanted Hammonds to be returned to their families, and they wanted the Refuge to be turned over to Harney County, and the ranchers it had been taken from. Lawyers for Ammon Bundy, the leader of the refuge occupation, and six co-defendants have repeatedly argued in court that their clients never intended to prevent the U.S. Fish and Wildlife Service or the Bureau of Land Management from doing their work — the thrust of the federal conspiracy charge they face. They’ve even argued that defendants haven’t even talked about workers from those federal agencies. Instead, they’ve said that they were engaged in a political protest, and intended to stake claim to and they didn’t believe that the federal government should control. The Jury also heard from Native American Elder, Sheila Warren, from the Siletz Tribe. Warren is a registered nurse, who previously worked for Indian Health Services, and then for the VA. She had come to the Refuge to see for herself and “get to the bottom” of whether the artifacts housed at the Refuge had been harmed in any way by the occupiers, as had been reported in the news. 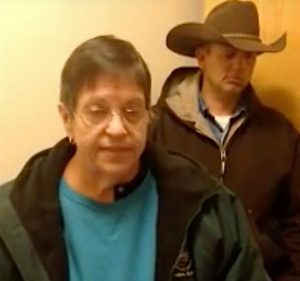 She said she was trying to get a feel for the place, and the occupiers so she could tell “what was true and what was not.” She said that the people she met were very open, friendly, and she did not see any firearms at the Refuge. She also testified that she notice a lot of areas that had been cleaned-up at the Refuge. She said that she examined the artifacts, and they were dusty and dirty, and there were plenty of rodent droppings among them, but they were in tact and had not damaged. 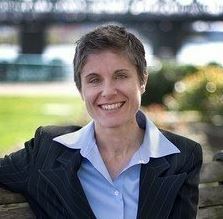 When Attorney Marcus Mumford asked her why she didn’t trust the FBI, she said “Because I heard that five of them…were under investigation for lying,” Judge Brown cut her off, and said that her statement should be stricken and not considered by the jury, although, again, it seemed highly relevant and responsive to the question asked. When Attorney Tiffany Harris asked Warren about efforts by FBI Agent Ronnie Walker to talk to her in May, she said she wouldn’t talk to him because she felt threatened by him. Another FBI agent was called to establish that in rancher Andy Dunbar’s testimony he said that he had never spoken to Ammon Bundy, but in his conversation with FBI Agent Burns, he said that he had spoken to Bundy. FBI negotiator Marc Maxwell testified about the last stage of the occupation, and his talks with the four remaining hold-outs, including David Fry. He said on Feb. 11, Fry talked to him by phone about killing himself, and his fear of being sexually assaulted if he went to jail. Maxwell told him he could be placed in segregation, and tried to talk to Fry about his family. Tomorrow, Thursday, which is the last day of the four-day week for the jury, the Defense plans to call Rev. Franklin Graham, who was involved in the final negotiations to end the occupation. Defense attorneys said that they also intend to re-call Harney County Sheriff David Ward, and that if there is enough time, on Thursday, Ammon Bundy may take the stand. The pace of the defense case slowed down today. It had been anticipated that the defense would call Rev. 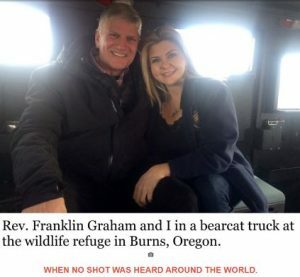 Franklin Graham and Harney County Sheriff David Ward, and possibly even get to Ammon Bundy. Instead, there were just two witness: Reverend Graham and Defendant Jeff Banta. Rev. Graham testified about his role in the negotiations and ultimate resolution of the occupation. Jeff Banta had suggested him as a possible third-party negotiator because he didn’t trust the FBI negotiators he was dealing with. The the FBI’s credit, they made a good faith effort to enlist Graham’s assistance, and it appears to have played an important role in the final resolution and surrender of the final four hold-out occupiers at the Refuge, including Sean & Sandy Anderson, Jeff Banta and David Fry. At a certain point Rev. Graham started communicating with the hold-outs on a daily basis, to establish rapport and a relationship with them. He said his main motivation was to try to help save lives on both sides. He said that both he and the occupiers were genuinely concerned that the FBI would run out of patience and just start shooting, just to end it. He said that in all his discussions with the last four hold-outs, he never heard them make any threats to anyone, and concluded that they were mostly just genuinely concerned about their own physical safety. On February 10th Graham responded to a plea from the FBI to come to Burns to be on the ground, along with Nevada State Assembly Woman, Michelle Fiore, in an effort to negotiate an end to the remaining occupation. He wanted to do what he could to try to help save lives. Although the FBI offered to pay his airfare, he flew himself from North Carolina in his private plane, and was taken to the Refuge from Burns in an armored FBI vehicle, and was instrumental in helping to negotiate the final resolution of the occupation. Sean and Sandy Anderson came out first, carrying an American Flag, followed by Jeff Banta. David Fry proved to be more stubborn, and there was some concern that he might commit suicide instead. But while the FBI was on the phone trying to talk to Fry, Graham was also on a loudspeaker talking to him. When they came out, they all had a big hug and knelt in prayer. Graham said he had no formal training in standoff negotiation, and credits God with direction to help bring about a satisfactory conclusion, with no additional bloodshed. After Rev. Graham concluded his testimony, Defendant Jeff Banta testified. Judge Brown reminded him that he has a Fifth Amendment right to remain silent, but he said that he has nothing to hide. Banta testified that he went to the Refuge to support the protest in favor of the Hammonds. 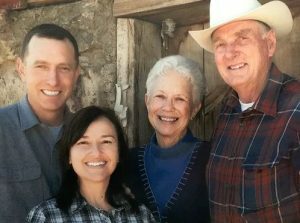 In fact he had hoped that Ammon Bundy might be able to make an introduction to the Hammond family to see if they could use some help on their ranch while Dwight and Steven were in prison. When asked on cross-examination why he had never talked to Ammon Bundy about that, Banta responded that Bundys were arrested so shortly after he got there that he didn’t have a chance to talk to them about it. He said that he only talked to Ammon Bundy for a minute or two and had no opportunity to get to know them first. Banta testified that because he didn’t trust the FBI, he suggested Rev. Franklin Graham as a negotiator. Banta testified about the final phase of the occupation, before surrendering to the FBI. He said he had a rifle and shotgun in this truck when he went to the Refuge, that he keeps there esssentially on a permanent basis for hunting and target practice. He also testified that a couple of “guys with white beards” showed up at the refuge, and made matters worse. He felt like they were either government agents, or agent provocateurs, actively seeking to mess things up, stir things up and/or make things look worse than they really were. Both Banta and Reverend Graham testified about the FBI negotiators crying uncontrollably when the occupation finally came to an end and David Fry gave up and came out. They were so thankful that it had come to an end without anyone else being killed. That image certainly reveals a softer side of certain FBI agents, but I also find it troublesome to know how genuinely concerned they were about how close the FBI was coming to forcing the issue and going in with armored vehicles and just killing any remaining holdouts just to bring it to an end. Given what we now know about the facts and circumstances of LaVoy Finicum’s shooting, and the emotional relief felt by the FBI negotiators when the remaining holdouts surrendered rather than “die for the cause,” it is very troublesome to consider just how little value the FBI, as an political organization, puts on human life. Bringing the day to a close, once again, late in the afternoon after the jury had been excused not just for the day, but also for the weekend, a myriad of motions were argued before Judge Brown. The only motion that Judge Brown did not deny outright, was Shawna Cox’s motion to dismiss the Count II firearms charge against her. The government had said it had a witness who would testify that he saw Cox with a firearm at the Refuge, but everyone else said that was not the case, and the government did not call that witness to testify during its case in chief. Consequently the government put on no evidence that Shawna Cox ever possessed a weapon at the Refuge. On that score, this is a good juncture to address another issue along the same line. 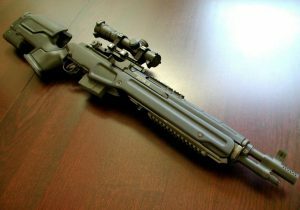 Although no evidence was presented during the government’s case in chief that Ammon Bundy was ever seen with a firearm at the Refuge, evidence was presented that Ammon Bundy had purchased a Savage .300 win mag hunting rifle in Glendale, Arizona in 2012, which was one of the guns found at the Refuge. Something I tracked down in one of Conrad Wilson’s references, however, raised an interesting issue for me. When Bundys were arrested, in support of the charges against them, FBI Agent Katherine Armstrong signed a sworn statement stating that Ammon Bundy possessed and was armed when a .40 caliber handgun when he was arrested. But Armstrong was never called to testify, and this claim never came out in the evidence at trial. That raises all kinds of interesting questions. When you consider the ramifications of this, along with the increasingly troublesome questions about the actions and increasingly obvious cover-up by the FBI HRT team in connection with LaVoy Finicum’s shooting death, if it doesn’t leave you scratching your head, it should. Although Judge Brown took Shawna Cox’s motion to dismiss Count II under advisement, she denied all other defense motions, and called it a week as far as presentation of evidence is concerned, which will resume next Monday, when Sheriff Ward is expected to testify, as well as Ammon Bundy. In addition to talking to Trent Loos about all this on Rural Route Radio tomorrow morning, I also anticipate shooting some more live video clips to provide additional live commentary to provide a recap on the week. In significant developments today, Judge Brown dismissed Count II (the firearms charge) against Defendant Shawna Cox. She found that the government had presented no evidence to support the charge, and that no reasonable jury could convict her based on the evidence presented. Another significant development involved evidence presented by Tiffany Harris, Cox’s standby attorney, that in addition to the criminal charges that Dwight & Steven Hammond were prosecuted for, the BLM also filed a civil lawsuit against them. 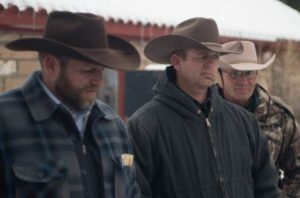 Under the circumstances Hammonds were ultimately forced to settle the case by agreeing to pay the BLM $400,000, and agreeing to give the BLM the right to acquire their ranch, including their private property, if they were not able to make the payment. Harney County Sheriff David Ward also testified again. Although much of his testimony plowed old ground, with contentious bickering about his discussions and communications with Ammon Bundy and his associates, and it is doubtful that the Defendants got much mileage out of most of his testimony, ultimately he did again admit that he was not aware of any threats against federal officers or employees. Redoubt News‘ headline really put Sheriff Ward’s role in the whole thing in a nutshell: “Skittish Sheriff Turns Buns into a Warzone”. The Defendants then called a witness that the FBI had previously identified as “Idaho Jerry,” who was actually Brand Thornton. He testified about his involvement and actions at the Refuge. He said he was there with the initial party on January 21, 2016, and that he was there until January 25th. Thornton testified about his activities at the Refuge, including cleaning and repairs. He said he has never been arrested or charged with any crime associated with the occupation, and isn’t concerned that he will be. 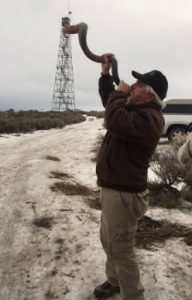 Despite confusion about his name and identity, Thornton is somewhat well-known for having a unique Shofar Horn that he blows under such circumstances, and did so on a regular basis at the Refuge during the occupation. Four residents of Harney County, including Kim Rollins, Pat Horlacher, Travis Williams, and Melodi Molt also testified about their observations at the Refuge during the occupation, and their communications with Ammon Bundy. Rollins disputed Sheriff Ward’s version of what happened at certain public meetings, including the straw poll that was taken about requesting Bundys to leave. Horlacher said that the atmosphere at the Refuge was “laid-back” compared to the tense atmosphere in Burns, with the heavy law enforcement presence, which he said was “so much like a scene from Red Dawn that it was ridiculous.” Williams and Molt testified that they were nominated to serve on the executive committee of the Harney County Committee of Safety. Williams, a Harney County rancher, said that once he heard what Ammon Bundy had to say it struck a responsive chord with him. Although he didn’t necessarily agree with all of Bundys’ methods, he said he agreed with much of what they had to say in principle. Molt testified that there were discussions between the Committee of Safety and Bundys about an “exit strategy,” but Harney County Judge Steve Grasty refused to allow them to hold a meeting in any public building in the county to talk about it. Someone keeping track kept a tally of the prosecutions objections during the afternoon. According to their tally, the prosecution made 34 objectiions, and 33 were sustained. They said in some cases Judge Brown made and sustained objections for them. At the end of the day, Ammon Bundy told Judge Brown that he felt like he had no choice but to take the stand and testify. He said because she was not willing to allow any other evidence to explain what their other motives might have been, he felt like he had no choice but to take the stand to testify about his state of mind and intentions with respect to the occupation. On an interesting side note, Oregonian reporter Maxine Bernstein has written an interesting article about the small-scale tourist attraction the Oregon Standoff Trial has become for downtown Portland this Fall, with people coming from near and far to observe the proceedings. One of the days many people have been waiting for in this trial arrived this afternoon when Ammon Bundy took the witness stand and testified for several hours. 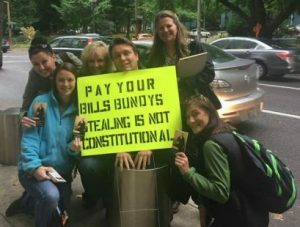 Once word got out that Bundy would actually be testifying this afternoon, a line formed outside the courthouse of people who wanted to observe the proceedings. Several other witnesses were called in the morning, including David Fry’s father, William Fry, a retired Marine gunnery segeant, Chris Briels, the Harney County Fire Chief, and Burns resident, Lindsay Tyler, who testified that she had been to the Refuge several times during the occupation, and had seen Harney County Commissioner, Dan Nichols, there. She also testified that she had taken cakes and cupcakes to the refuge. When attorney Matt Schindler asked her if she knew that by providing food she was supposedly joining and supporting a criminal enterprise, prosecutors objected and Judge Brown admonished the jury to disregard the question. Briels testified that he is part of the Harney County Committe of Safety. He explained that his comittee had had discussions with Ammon Bundy, including about plans and conditions for exiting the Refuge. He said those efforts were thwarted by Harney County Judge Steven Grasty’s refusal to allow them to meet at any public venue in Harney County. Judge Brown is well known to be favoring the prosecution, but has completely ripped off her mask and stopped pretending to be fair in this trial. . . .When Attorney Mumford challenged her need to [unilaterally] change the jury instructions, he asserted that the “court is taking sides against the defense.” She completely ignored his argument and did not even bother to address it. But this is fit with the rest of the day and how many objections the prosecution would jump up and make. She sustained nearly all of them. However, she was so wrapped up in helping the prosecution that at one point she even sustained an objection that was not made. During the questioning of Chris Briels, Brown burst out and said “Objection Sustained!” When she realized that no one had made an objection, she then said, “Oh, there was no objection, but I am going to sustain it anyway. I am not going to let the witness speculate.” [– apparently whether the prosecution made an objection or not]. This is what the defendants are dealing with. The public audience is on to her as well, as she has noticed. She has threatened the public in the gallery with expulsion for making any noise whatsoever, even turning a page in a notebook. If she hears a pen click or a page turn she will have everyone removed. When Ammon Bundy took the stand, he told about his life growing up on the Bundy Ranch in Bunkerville, Nevada. He testified about the grazing rights that his family and other ranchers rely upon to utilize federal grazing allotments, which in his view constitute a valid private property interest in forage resources of those allotments. He testified about how the federal government has slowly tried to take away those rights to the point that his father terminated any contractual or “permit” relationship with the federal government, which likewise terminated any financial obligation to the BLM. Bundy testified that he is a husband and father of six children, and that he currently resides at the Multnomah County Jail, where he has been in custody, held in maximum security for for 8.5 months on the theory that he poses a danger to the community. After much argument and debate, Bundy was allowed to testify about his experiences in Bunkerville in 2014, as the federal government sought to impound his family’s cattle. Prosecutors objected to any testimony, arguing that it would turn into a Pandora’s box in the case. 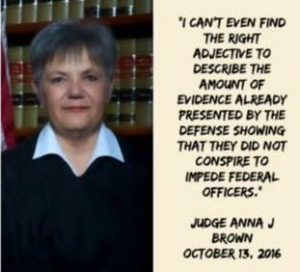 But ultimately, Judge Brown said she would allow it because it is part of the nature of the unique beast in this case, and is relevant with respect to Ammon Bundy’s experiences and state of mind that caused him to ultimately want to get involved in trying to help the Hammonds in Oregon. He testified about what had happened in Bunkerville, including being tased three times for simply attempting to look in a dump truck, and about his Aunt Margaret being roughed-up by security forces. Several short video clips were also shown depicting these events. Bundy became emotional at several points in his testimony. He explained how in the Fall of 2015, his father, Cliven Bundy, had first told him about Dwight & Steven Hammond, and their plight in dealing with the federal government. Ammon testied that his dad suggested that like their own ranch, Hammonds had been intentionally targeted by the federal government, and had ultimately been tried, and convicted for burning a small amount of BLM land in two separate incidents, and after serving the initial sentences that were imposed by the trial court, they were both tater resentenced to a serve a full five years each. Bundy testified that at first he resisted his father’s encouragement to study the situation and possibly get involved. Later on, however, he testified he had a change of heart and traveled to Harney County, Oregon to meet the Hammonds and look into their situation situation. He testified that at first he resisted the thought, but ultimately felt impressed to try to figure out what he might do to help them out. He said all his efforts were focused on trying to figure what had happened and what could be done about it. He was trying to do everything he could to help the Hammonds. Ammon is expected to continue to testify Wednesday morning. Where to even begin with today’s recap. It was a pretty ugly day in the Oregon Standoff Trial — or great entertainment — depending on your perspective, with multiple yelling matches between Attorney Marcus Mumford and Judge Anna Brown. 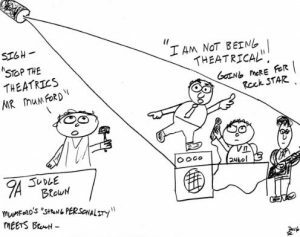 At one point Judge Brown actually stood up and roared at Mumford to sit down, shut up, and knock-off the “theatrics,” at which point they had an argument about whether or not it was theatrics. 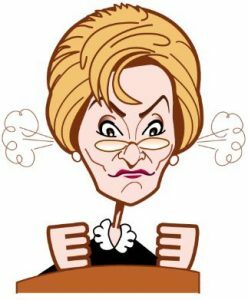 If it was theatrics, Mumford might not win any acting awards, but Judge Brown’s performance might not score well in the “judicial decorum” category either. There are a number of people who love to mock and scorn the Bundys and their associates. For a lighter, though obviously slanted (mocking and scornful) “take” on the proceedings, we highly recommend Bundy Court Sketches on Facebook. Once once again, with all this courtroom pageantry in mind, I’m going to make another pitch for greater judicial transparency, including live-streaming court proceedings. Everyone with any kind of interest in the Oregon Standoff Trial would benefit from being able to watch the proceedings today. We all deserve to know about about how the judicial system really “works.” It was true judicial theater. Mumford spent much of the day frustrated at Judge Brown’s inconsistent rulings on the evidence he wished to present. She had said that Ammon Bundy can testify about his intentions and state of mind in occupying MNWR, and the things that influenced his intentions and state of mind. But today when Ammon Bundy made references to scriptures, and attempted to read them so that the jurors would know exactly what had influenced his thinking, Judge Brown ruled that he was not allowed to read scripture in the court room. This was a very peculiar ruling, as if having a witness cite scripture was the functional equivalent of having the Ten Commandments on display at the courthouse. She had allowed him to show videos and photographs depicting the events that influenced his thinking, and to testify about hearsay statements from others, including local ranchers, but for some reason scripture was out-of-bounds and off-limts. Later, she made similar rulings with respect to additional videos shot at the Refuge with Ammon talking to local ranchers about their concerns, and about conversations he had had with the Hammonds where they expressed concern to him about their own safety, as well as his, based purely on the fact that they were communicating with him. 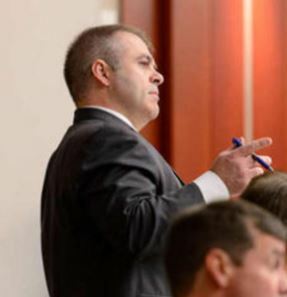 The court’s inconsistent evidentiary ruliings resulted in multiple heated exchanges with Attorney Mumford, and at one point he threatened to file another motion for mistrial, after which Judge Brown relented, reconsidering some of the evidence he had requested to present, and ultimately did allow part of it to come in. This would indicate that Judge Brown herself knows that she is on thin ice with some of her rulings. A majority of the most testy moments occurred outside the presence of the jury in evidentiary hearings about the admissibility of evidence, which consumed a fair amount of time, and Attorney Mumford stated that he and his team had been working around the clock to consolidate and pare down the evidence as much as possible. When the jury was present and Ammon Bundy was on the stand, he testified that he felt directed by God to take possession of the Refuge, but one of his primary intentions was to stake a claim for adverse possession at the Refuge. He said that is why they took physical possession, and tried to meet the criteria of open, adverse, possession and use. That is why they had the signs changed, and sought to change the P.O. box and utlitity accounts. That’s why they sought to clean-up and fix-up the place. They had guns so that they would be taken seriously, and to defend their position and possession of the Refuge. He said at the time he believed what they were doing was legal, completely legal, and “I still believe today that what we did was the right thing,” at which point the prosecution objected, Judge Brown issued a revised instruction to the jury, and there was another argument about who was able to say what was legal and what wasn’t. Clearly, the prosecution only wants Judge Brown to be able to say what is lawful and what isn’t. On the other hand, Ammon Bundy is supposed to be able to testify as to his understanding and state of mind. After the jury was excused for the court and attorneys to hash-out those issues outside their presence, Bundy resumed his testimony, and testified that during the occupation he was having discussions with Eastern Oregon Congressional Rep. Greg Waldon’s office, and those discussions were making a difference. He testified that because of the Refuge occupation, a lot of people were taking the Hammond situation a lot more seriously. He said he was trying to get local government officials, including Sheriff Ward, to assert their rights, and help restore their rights, as had happened to some extent with his family in Bunkerville, with the Clark County sheriff’s department intervened to help resolve the situation, and helped to secure release of Bundys’ impounded cattle. Nevada State Assemblywoman, Michelle Fiore, who helped negotiate the final surrender at the Refuge, testified briefly, as did PPN (Pacific Patriot Network) leader Brandon Rapollo, who testified about his service in the Marine Corps, and what the PPN as doing at the Refugre on January 9th, when he and other PPN leaders delivered proposed Articles of Resolution to Ammond Bundy and his closest associates, and then they went to Burns to deliver the same proposed Articles of Resolution to the FBI. According to some media sources, the most notable thing about Fiore’s testimony was the fact that when she was leaving the stand, she waved to the jury, and lipped “thank you,” which was thoroughly mocked in many quarters. It is anticipated that Ammon Bundy’s testimony will continue tomorrow (Thursday) for the third day, first on direct examination, and then on cross examination, which could, potentionally, take the entire day, and conclude the trial week. Shari Dovale’s article in Redoubt News is a good summary of Ammon Bundy’s testimony. Ammon Bundy’s testimony continued today. He testified about his purposes, objectives, intentions, and actions at MNWR. He reiterated that one of his primary objectives was to stake an adverse possession claim, because he believed ownership of the Refuge property was in dispute, and he was disputing federal ownership of the property. Consequently, based on Adverse Possession principles, he took steps to change signs, and to actually change and improve the property, including clean-up and repairs. Although some have asserted that the Adverse Possession defense was something Bundy and his attorneys came up with after the fact, they presented evidence, including videos, that he had presented classes on the subject of Adverse Possession at the Refuge, and showed pictures supporting his testimony that it was part of his purpose from the outset. When asked about his exit strategy, Bundy testified that his plan was to teach locals, including the Harney County Committee of Safety and local ranchers; turn the effort, including possession of the Refuge over to them to move forward with in challenging the federal government’s ownership, possession and jurisdiction, and leave. Once again, check out Bundy Court Sketches on Facebook. Ammon Bundy said that based on what he was trying to accomplish, he didn’t believe he was doing anything unlawful, and certainly not criminal. He said he thought there was a possibility that the federal government would take action, civilly, to claim he and his associates were trespassing at the Refuge, and would take action, civilly, to evict them. He said that because the idea of conspiring to impede or interfere with federal employees had never even crossed his mind, he did not consider the possibility of such charges. By the time Ammon Bundy was done testifying, it was clear that much hard-fought evidence had come in that the Government worked desperately to keep out, seriously undermining the government’s already marginal case. Bundy testified he believed his life was in “extreme danger” during his arrest, and described Robert “LaVoy” Finicum’s death as an ambush. Under questioning from his attorney, Bundy described the Jan. 26 traffic stop that ended with his arrest, saying he feared getting shot if he made a move, and was too afraid to pick up his hat. Finicum, an occupation spokesman, was fatally shot by police after fleeing the stop in a different vehicle. When Bundy called it an ambush, U.S. District Judge Anna Brown halted further mention of the topic, reminding the courtroom that Finicum’s death is not being litigated. 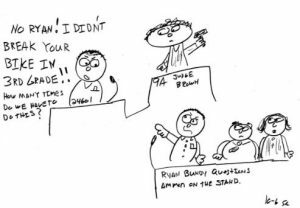 After hours on the witness stand in direct examination, Bundy was only cross-examined by the prosecution for less than 20 minutes. On cross examination, Bundy admitted that he had taken a federal government-guaranteed loan for his business, and that he pays federal taxes. He said that he recognizes and believes in the federal government, but believes its proper role is limited by the constitution. When prosecutor Ethan Knight attempted to question Bundy about that, he offered to debate the constitution and what it means with Knight, who declined, and moved on with his questioning, including the reason for bringing guns to the refuge. Bundy testified that it was so they would be taken seriously, get more attention, be able to defend themselves, if necessary, and to help insure their right to exercise their First Amendment rights. After Bundy’s testimony was finished, LaVoy Finicum’s widow, Jeanette Finicum, took the stand. She testified about the facts and circumstances surrounding LaVoy’s trip to the Refuge. She said the protest rally in Burns to support the Hammonds wasn’t even on his radar screen until the day before (1/1/2016) when he received a phone call. When he left home he was planning to go up for the rally and come straight back. 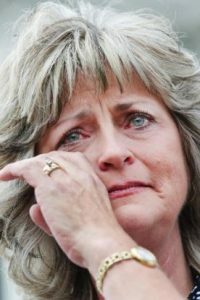 Jeanette said that she was surprised that he had decided to stay, and she broke down in tears as she testified that she spent the first week trying to convince him to come home, until she resigned herself to the fact that he was committed to stay, because, according to him, local ranchers wanted him, and the others to be there. We’ll be talking with Trent Loos about weekly trial updates tomorrow, and plan on shooting a weekly recap video as well. Because Todd Macfarlane was released from his subpoena, and will not be testifying at the OST trial, we are sharing his video summary of what he would have said about his involvement, if he had testified at trial. The trial schedule this week is a little strange. Normally, the trial week is Monday through Thursday. But this week, with Columbus Day, which is a federal holiday, there was no court on Monday. Likewise, there will be no court on Wednesday because of the Jewish Holiday, Yom Kippur, which starts at sundown on Tuesday, October 11, and ends at sundown on Wednesday, October 12. Attorney Mathew Shindler, who represents Defendant Kenneth Medenbach, brought this to the court’s attention. Another witness that seemed to take some wind out of the court’s sails was Mathew Deatherage. On cross-examination, the prosecution asked him if it wasn’t true that he had posted an on-line petition to impeach Judge Brown. On redirect examination, he said it was because of the obvious corruption, bias, and the fact that Judge Brown would not allow any discussion of the constitution during the trial. According to multiple observers, Judge Brown seemed very uncomfortable to be called-out so straight-forwardly. The spouses of Defendants Ryan Bundy and Shawna Cox testified that when Ryan and Shawna had left home to go to Burns for the Hammond Protest Rally, there were no plans or discussions about occupying the refuge. They testified that both Ryan and Shawna were planning to go straight up and back, and barely took an extra change of clothes. They were both planning on one day travel to get there. One day there, and one day back. Angie Bundy testified that Ryan told her he would be back on Monday (January 4th) at the latest. This testimony was introduced to counter the Government’s theory that there was some grand conspiracy. The defense also called Sheriff David Ward’s cousin, Rodney Glen Cooper, as a witness. He testified about his multiple conversations with Sheriff Ward telling him that he might be wrong about his perception of Ammon Bundy and his associates. He testified that Ward told him that he had no fear of the Bundys, and that he actually agreed with about 90% of their positions, and that under other circumstances, they could be good friends. Witness testimony wrapped up with Defendant Kenneth Medenbach testifying. He testified that he felt common cause with the issues Bundys were trying to address at the Refuge, and felt prompted to go there. Otherwise, a psychologist also testified about David Fry, and testified that while he was still in Ohio, he had experienced a premonition that LaVoy Finicum would be killed, and he wanted to meet him before he died. 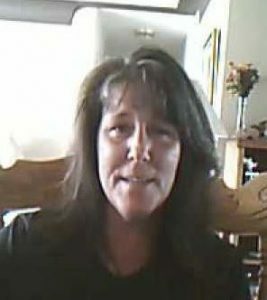 She also testified that after Finicum was killed, Fry experienced a great bout of depression and hopelessness and went through a very dark time. For an in-depth profile and treatment of David Fry, and how such an unlikely person became the last hold-out at the Refuge, check-out this article about Fry in Outside Magazine. According to his father, FRy just wanted to go somewhere where the world was listening. Today, the Defense called five witnesses, including Sheriff Richard Mack, Former FBI Agent Charles Stephenson, Shawna Cox, Rusty Hammond, and Becky Kingen, from Fields, Oregon. Sheriff Mack testified that he had several conversations with Ammon Bundy and told him that in his opinion, the occupation was misguided, and the occupiers should do something different, and should leave the Refuge. He also testified that he talked to Sheriff David Ward at least twice before the occupation began on January 2, 2016, and strongly encouraged him to do something to help the Hammonds. He said that in his opinion, Ward was derelict in his duties as county sheriff, and as far as he was concerned Ward should have arrested Ammon for trespass, and dealt with it at the county level. FBI Agent Stephenson testified as a firearms expert. He said that he did not observe any firearms at the Refuge that were not either secure or at rest. He did not observe any improper use, display or handling of firearms at the refuge. Defendant Shawna Cox also testified. 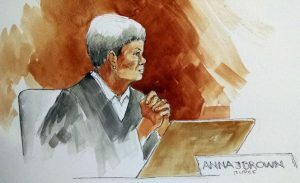 The most significant aspect of her testimony was that she was able to play the recording from her cell phone from inside LaVoy Finicum’s truck when she and the other defendants were arrested, and Finicum was killed. The prosecution and Judge Brown had been working hard to keep out any reference to LaVoy Finicum and his shooting death out of the case, but it all came in today with Shawna Cox’s recording. 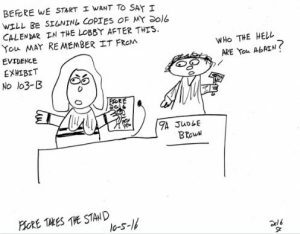 Many court observers have stated that Judge Brown suddenly seems more humble, or resigned than she has ever been in this case. When Rusty Hammond, son of Dwight Hammond and brother of Steven Hammond, was asked to take the oath as a witness to “tell the truth, the whole truth, and nothing but the truth,” his response was “If you’ll let me.” Hammond then testified that his family had been threatened not to have any contact, communication or association with Ammon Bundy or his associates. The defense had previously proffered this evidence, and the Government had said that it wasn’t true — that there were no threats. This is evidence that there was much argument about to Judge Brown outside the presence of the jury. Ultimately, however, Judge Brown allowed Rusty Hammond to testify that contrary to the Government’s representations, his family had been threatened by the Government not to have any contact, communication or association with Ammon Bundy. The final witness of the day was Becky Kingen. 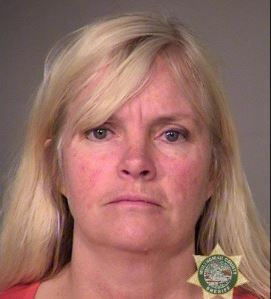 She said she took her 11 year-old son to the refuge to interview Ryan Bundy for a school report. He wanted to do the report “because they seem like people just like we are.” Side Note: I have met young Monty Kingen. He attends the (K-8) one-room school in Fields, along with about 12 other students. I would like to read the report he wrote about the occupation. Will be on Rural Route with Trent Loos tomorrow morning to discuss the trial, and from what I understand, Harney County ranch woman, Erin Maupin, may be joining us. We’ll post a link to the discussion. Erin Maupin joins Todd Macfarlane and Trent Loos on Rural Route Radio for the weekly recap. If he had checked his text messages sooner, David Fry would have left the Malheur National Wildlife Refuge and joined occupation spokesman Robert “LaVoy” Finicum on a trip to a community meeting that ended when Finicum was fatally shot during a police stop. Fry, the fifth defendant to take the witness stand in the federal conspiracy trial of seven refuge occupiers, spoke calmly and clearly Friday, a marked contrast to his highly publicized rants in the hours before his tense surrender to FBI agents on Feb. 11. He even chuckled a few times, including when he described when he videotaped ground squirrels at the refuge that looked different than the tree-climbing ones he’d seen in his home state of Ohio. Fry said Finicum had sent him a text message on the morning of Jan. 26, inviting him to travel with him and others to help film the meeting they had planned to attend in John Day, about 100 miles from the refuge. “I missed that message,” Fry said. “I never got a response back,” Fry said. Fry said Finicum was the only person he had known at the eastern Oregon bird sanctuary when he arrived Jan. 8. He drove four days from Ohio to the refuge partly because he was interested in meeting Finicum, who he had been following on YouTube. 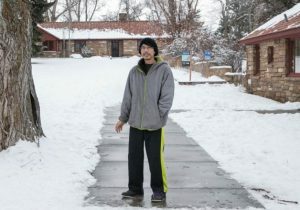 With $700 and a backpack holding his camera, laptop and phone, he thought going to the refuge would give him a good chance to get out of the house and see what the protest was all about. He described the occupation as a Martin Luther King Jr.-type sit-in and said it was the first protest he ever participated in. Fry, who had his own YouTube channel, also said he thought the refuge occupation would give him the opportunity to share his concerns about radiation from Fukushima, Japan, and his anti-abortion views. Fry said he assumed the occupation involved the U.S. Bureau of Land Management and had no idea the U.S. Fish & Wildlife Service ran the property until his arrest. He suspected the refuge employees were initially on vacation and later were told not to report to work, he said. Fry testified that he never hacked into any refuge employee’s computer, but simply plugged his flash drive into refuge worker Ryan Curtis’ computer so he could more easily compress long videos. He also spent his time at the refuge chopping wood, cleaning dishes and taking videos of wildlife, he said. At one point, Fry said he was turned off by the anti-Muslim sentiment of two or three people at the refuge and scribbled a handwritten note on Jan. 23 that he was going to leave. Fry said he later realized he was overreacting and decided to stay. He described the atmosphere at the refuge as calm, happy, and even “merry” before Finicum’s shooting death. But once the occupiers who remained behind at the refuge learned of the shooting, it “became absolutely chaotic,” he said. 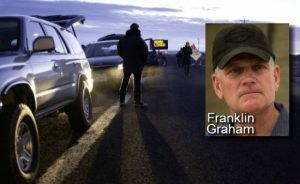 On Jan. 26, state police and FBI agents stopped Finicum’s truck and a Jeep carrying refuge takeover leader Ammon Bundy with a handful of other key occupation figures along U.S. 395 on the way to John Day. Bundy gave up immediately, but Finicum took off in his truck and ran it into a snow bank. Troopers shot him as he got out and reached inside his jacket, where investigators later found a loaded 9mm pistol inside his left jacket pocket, according to police. Ammon Bundy and his older brother, Ryan Bundy, are on trial with Fry and four others on a charge that they conspired to stop federal employees from doing their jobs at the refuge through force, intimidation or threats. Fry said he feared the FBI would head to the refuge to confront the remaining occupiers. He and others packed their things, but he said he felt compelled to remain. They moved their belongings to the west encampment, which they named “Camp Finicum.” He said he spoke frequently with FBI agents, but didn’t trust them. At one point, his phone service was cut off, and the FBI alerted him they had left a flip phone on the seat of an excavator truck parked at the refuge front gate. On the evening of Feb. 10, Fry said he was riding around on a four-wheeler when he noticed about eight armored Bear Cat FBI vehicles move in. He rushed back to the camp to alert the other three remaining people, Jeff Banta, Sean Anderson and Sandra Anderson. They put up logs around their camp and hung string with bottles and cans attached around their tent to alert them to FBI agents, “so you’d hear them coming,” he said. There was a heightened sense of paranoia, he said, because he thought agents were watching them with drones and cameras. “I was a little bit losing my mind in a sense … I don’t think I was being crazy but maybe not completely sane,” Fry said. Though the FBI said people could leave the refuge, Fry testified that he didn’t feel comfortable leaving without everyone going as well. He said agents told Sean Anderson that he would be detained and charged. Fry also feared that he’d be sexually assaulted in custody. Fry said he didn’t bring a firearm to the refuge and only picked up a shotgun after learning of Finicum’s death. He acknowledged that he told an FBI agent that he would take as many of them out as possible if they attacked, but he said he likely would never have fired at any one. Fry credited FBI negotiator Marc Maxwell for convincing him to give up. Maxwell told him that the “Big Bubba stuff is Hollywood” and that dangerous violent criminals are segregated from the general population. “That reassured me that there wasn’t really anything to worry about,” Fry said. Why did he ask the agents to say “Hallelujah” upon his surrender? “If they were willing to say it, they’d be less evil people in my mind,” Fry said. Fry said he was more comfortable with his recent diagnosis by a forensic psychologist that he suffered from schizotypal personality disorder. “I still considered it as a sit-in,” Fry responded, adding that the guns were present out of fear of a FBI-type Waco, Texas, attack. 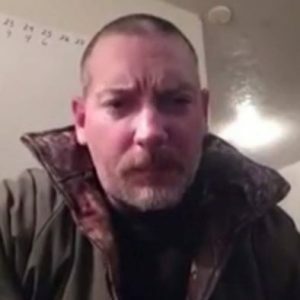 Knight established that Fry slept in a refuge office building, worked at an employee’s desk, was using a refuge worker’s computer even if he hadn’t hacked into its hard drive and provided support to Finicum and co-defendant Shawna Cox on their protest-related videos. Knight asked if it was Fry’s testimony that he never held a gun at the refuge until after Finicum’s shooting. “I held one, but I wasn’t possessing it,” Fry responded. He said later he held a handgun momentarily. During the final days of the occupation, “Didn’t you tell the FBI it’s not going to end peacefully?” Knight asked. But if a federal employees from the U.S. Fish & Wildlife Service walked in, “you would have let them go to work?” Knight asked. “Yes,” Fry said, explaining that’s why he and the other three holdouts moved away from the refuge buildings to the west encampment the last two weeks. “We weren’t trying to occupy anything anymore,” he said. Last week, prosecutors said in court the government used 15 confidential informants and/or agents provacateur during the occupation. So far, only two are known: a San Diego, California, woman named Terri Linnell who was at the refuge from Jan. 12 to 23; and Mark McConnell, who drove Ammon Bundy from the refuge toward John Day on Jan. 26, the day Bundy was arrested. McConnell tipped off law enforcement to their location and provided a “threat assessment,” according to an Oregon State Police trooper who testified in the case. 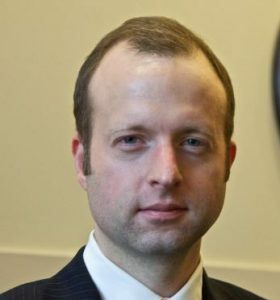 “Obviously, it’s important to us to be able to know for certain that the activities our government alleges our clients committed are not actually acts committed by government informants,” said attorney Matt Schindler, hybrid counsel for defendant Ken Medenbach. 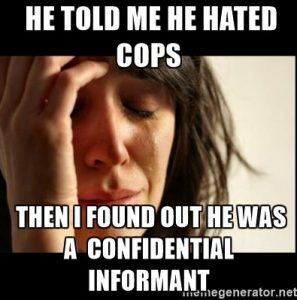 Schindler said there’s no way to know because the government hasn’t revealed who the informants were. “We have a number of weapons and a giant quantity of ammunition that the government made no effort to attribute to anyone specifically,” Schindler said. “One of our real concerns is people affiliated with the government or working for the government were people who brought these firearms to the refuge and therefore the evidence that is there that the government is using to support this notion of a threat is in fact evidence that the government created,” said Shindler. Harris goes on to write that defense attorneys have subpoenaed a Las Vegas man who speaks with a French accent and admitted to visiting the refuge for three days, leaving on Jan. 26. 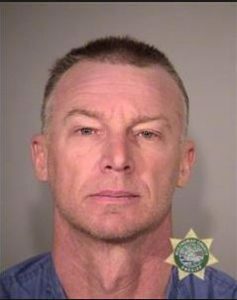 The man reportedly offered what he describes as firearms “safety” classes to people at the refuge and used the alias John Killman. 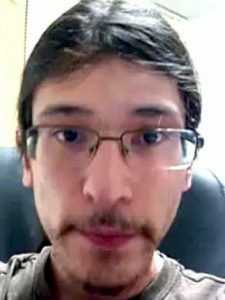 Harris also wrote that Killman’s Facebook profile was created in January after the occupation began and that most of his friends on the social networking site are people who occupied the refuge. Harris said in the filing that another “Confidential Human Source” said there was more shooting at the refuge Jan. 25 – that’s during the time Killman was said to be there. Harris specifically references a video the government played for the jury, taken from one of the occupiers’ cellphones. It depicts heavy arms fire at the refuge boat launch. During their case, the government said it showed organized, tactical training taking place the refuge. Harris wrote that the government has declined to answer whether Killman was an informant. Ultimately, the defense subpoenaed and called “John Killman” to testify. He admitted that his real name was Fabio Minoggio, and that he was feeding information to the goverment, and the government was covering his expenses. He had taken charge of firearms training and created a “shooting range” at the Refuge boat launch, and was directly responsible for creating much of the “spent brass” that was generated from his actions, that was presented as evidence. But the government successfully blocked disclosure of the identities of any of the other informants (beside MicConnell & Linnell). Before the defense rested, it also called Duane Schrock, a Harney County rancher, to testify. He testfied that even after FBI Agent Ben Jones testified during the prosecution case back in September, Jones tracked down Schrock and sought to question, interrogate and influence his possible testimony in the case. The defense argued that under any other circumstances Jones’ actions would be considered intimidating, and treated as witness tampering. After the defense rested, the prosecution started calling rebuttal witnesses. It had hoped to call a DOJ attorney and a BLM employee to talk about Bunkerville, but they were blocked. 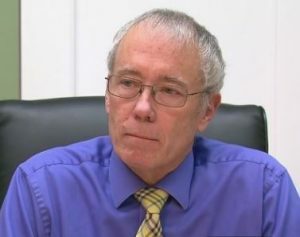 The prosecution did call Harney County Judge/commissioner Steven Grasty, who had been responsible for blocking access to public building venues in Harney County. He said that he made that decision, among other things, based on, in his words “crimes that were being committed at the Refuge,” but the court ordered his statement stricken, because it has not yet been determined whether there were any crimes being committed at the Refuge. On Tuesday, October 18, the Court will begin instructing the jury, and the Government will begin making its closing arguments, followed by closing arguments from the defendants. At this point, it is expected that the case may be turned over to the jury by about noon on Wednesday. Opening Statements took one day, but it is anticipated that Closing Arguments will take two full days. The closing arguments offered so far have been in stark contrast to each other. The Government made its closing arguments this morning, through Assistant U.S. Attorney Ethan Knight, who is the lead prosecutor in the case. Many have characterized his arguments as “very weak,” and grasping at straws, as he attempted to show that there was some kind of conspiratorial agreement between all the defendants to impede or interfere with federal employees doing their duty. He did not address the fact that the decision to close the Refuge and the local BLM office was made even before the occupation began. He did not address the fact that all the federal employees in question continued to do their work and were paid accordingly even though they did not report to the Refuge or the BLM office. On the other hand, Defense Attorney Marcus Mumford highlighted the fact that of the 43 witnesses the government called in the case, 40 of them were government employees or paid operatives or informants, and not one of them could testify that he or she had been threatened. He also pointed out that the Government had a total of 15 paid informants or agents provocateurs, with 9 at the Refuge, only three of whom have been identified. 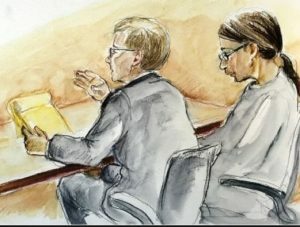 In her instructions to the jury, Judge Brown instructed them that it was not possible to illegally conspire with government informants or operatives, which creates a huge issue in terms of the question of reasonable doubt. Without knowing whether the people they were talking to were government operatives or not, it would be very challenging to establish any type of alleged conspiracy beyond a reasonable doubt. Attorney Mumford said that the defendants had operated very openly and transparently, and in broad daylight, as they sought to stake an adverse possession claim at the Refuge, while the government had been very deceitful in its efforts to manufacture evidence and escalate the situation. He pointed out that Government operative Fabio Minaggio (aka “John Killman”) had come to the refuge, and set up a shooting range, and worked specifically to create evidence of excessive expended ammunition, and use of firearms to create images to invoke fear and intimidation. He also showed where the government had only been able to tie 2-3 of the firearms left at the refuge to any of the defendants in this case. He argued that it is the government which is operating outside the bounds, outside the law, and must be reined in by the jury. He told the jury that in our entire system of government, they (the jury) are the only thing capable of doing anything to help stop federal government overreach. 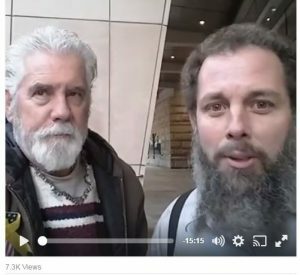 At this point in the case, although media coverage of the closing arguments covers the entire spectrum, and is in stark contrast in many respects, many Bundy haters, including some high-profile environmental preservation activists (like Kieran Suckling with the Center for Biological Diversity) are in full-scale panic about the direction the case appears to be headed, calling possible acquittals in the case a “catastrophic disaster” that will lead to multiple occupations and violent protests throughout the West. Never mind that the only violence that has been inflicted by anyone up to this point has been inflicted by the Government. There will be another full day of closing arguments tomorrow, with each of the remaining defendants expected to take at least an hour. Then the government will be able to make rebuttal arguments. And at that point the case will be turned over to the Jury to deliberate. For John Lamb & Brand Thornton’s Perspective, join them on FacebookLIve. WEEK 6 RECAP, following Closing Arguments, as the case has been handed over to the jury, including my prediction that the trial will end in a Hung Jury. Once again, discussed by Trent Loos and Todd Macfarlane on Rural Route Radio (although the first part of the program is off on another tangent). For yet another perspective on where things stand at this point in the trial, following closing arguments, we also invite you to check-out what Kelli Stewart had to say. 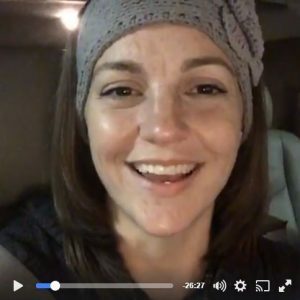 Her FacebookLive summary on 10/19/2016 at 9:29 pm is especially interesting. For contrasting perspectives and reporting, you can also follow Maxine Bernstein for OregonLive, and Conrad Wilson for Oregon Public Broadcasting (OPB), Bundy Court Sketches on Facebook, John Lamb on Facebook, Kelli Stewart on Facebook, Gary Hunt at Outpost for Freedom and Redoubt News. At RANGEFIRE! we believe in the the value of multiple perspectives. We also believe in the need for alternative voices to mainstream media commentary and coverage of these issues. Great Job Todd, Thank you so much. Warren said she didn’t trust the FBI because a number of them were known to be telling lies. Good instimct. If you trust them, they will set you up and you’ll end up in jail, on trial. Good reports. Please continue to keep us posted. Really appreciate you keeping us informed, learned of this website from Trent Loos and Rural Route Radio. Just want to thank Todd Macfarlane for your Friday update with Trent of the week of court in Portland. Our prayers are with these folks.